Let TechPro Security Products help you with any of your business or commercial security camera installation requirements. Our security experts will design the perfect surveillance solution that will protect your business around the clock. We have been based out of Boca Raton for the last 10 years and serve all of South Florida with security camera installation services. Picking the perfect surveillance contractor to design and install your security cameras and related products is paramount to knowing that it will be done right. Complete and thorough customer satisfaction is our mission. TechPro Security Products is not just another security surveillance company that will disappear in less than a year. We have been serving the commercial industry and businesses with surveillance related products for nearly ten years at the same location. TechPro Security Products exclusively designs and installs complete surveillance solutions for all types of businesses from beginning to end. We design and manufacturer are own products at one location meaning you will not have to deal with any middlemen as we firmly stand behind our products and services. Innovative security and surveillance techniques are combined with the premiere superior commercial security camera installation service giving your business the most thorough coverage at an affordable price. This allows your company the ability to concentrate on their business while we take care of the surveillance aspect. We will gladly visit your business and deliver a free quote and surveillance consultation. Our surveillance experts will design the most protective commercial surveillance solution for your company. We also now include many other security related services for our clients. Remote Monitoring and access control will deliver the highest levels of security for your community. 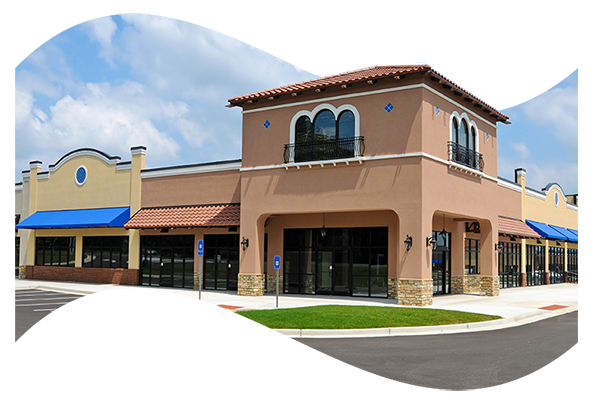 TechPro Security Products has designed the perfect security surveillance solution for many different types of commercial businesses. We will design around your topography and architecture for the utmost coverage. We can monitor every inch of your property – front, back, side and even the top with an aerial view. For business owners having surveillance is a top priority to consider when devising a security plan. Protect inventory loss and monitor employee productivity around the clock. TechPro Security Products rapid ascension in the commercial security camera installation field is easily attributed to our hard work and proven track record. Customer satisfaction is the trademark for which we have worked exceedingly hard to establish ourselves as a leading commercial security camera installation company.